Jonathan Smith joined TRC Consultants in August 2012 and is a valued member of the Sales team. Jonathan Smith holds an undergraduate degree from Texas A&M and a MBA from The University of Texas of The Permian Basin. Prior to joining TRC, he spent years working in the medical industry and the computer industry. When Jonathan is not busy at work, he enjoys studying presidential history and learning about technology. 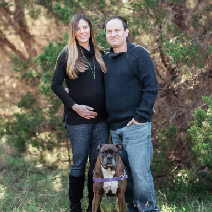 He lives in Leander, TX with his wife Lindsey and his three dogs.